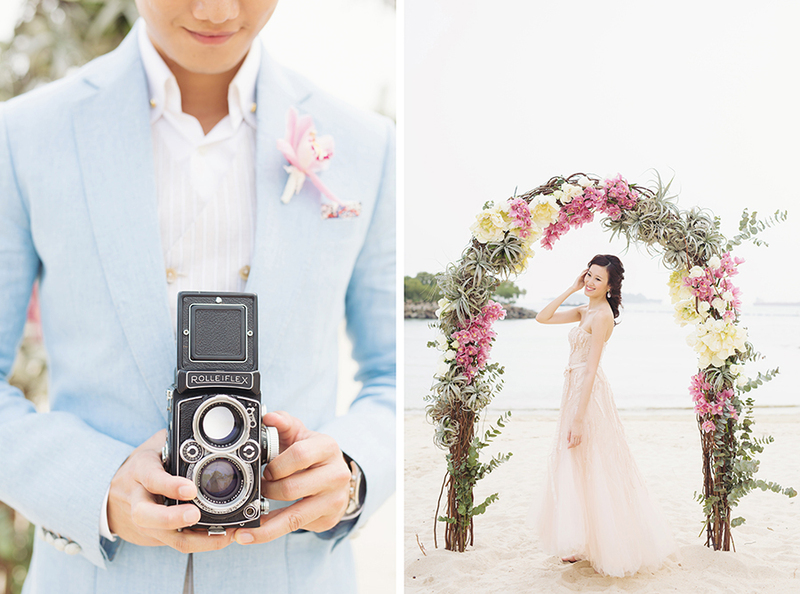 We’ve been on tenterhooks for months waiting to share these images captured at Tanjong Beach Club by Trouvé with you, Wedding Scoopers, and we're so delighted to share the first part of this irresistible set! 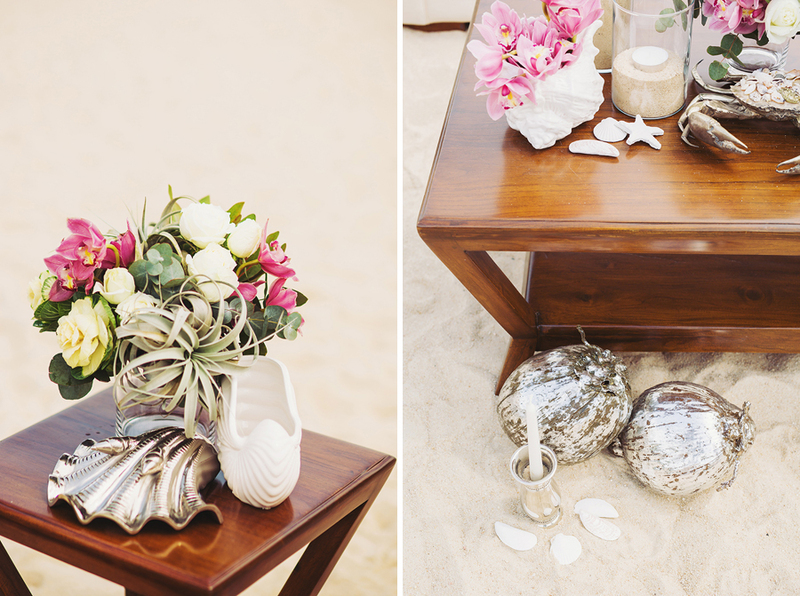 You can almost feel the deliciousness of warm sand between your toes as you view today’s dreamy ceremony co-styled by Wedrock Weddings and Floral Magic. 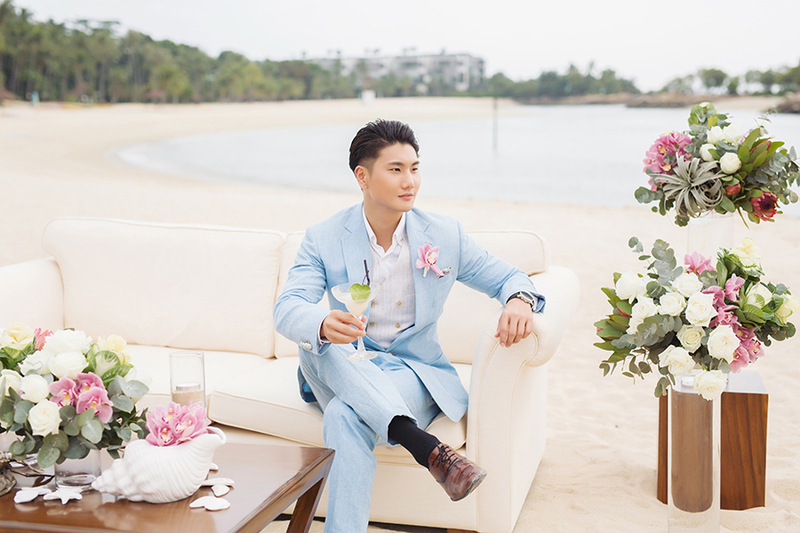 With dresses from Truly Enamoured, accessories from Pinwheel Jewels, hair and makeup by Charmaine Tok, suit from PIMABS and a stop-you-in-your-tracks cocktail lounge from WTP, we’re guessing we’ll be seeing many more beach nuptials in the near future! 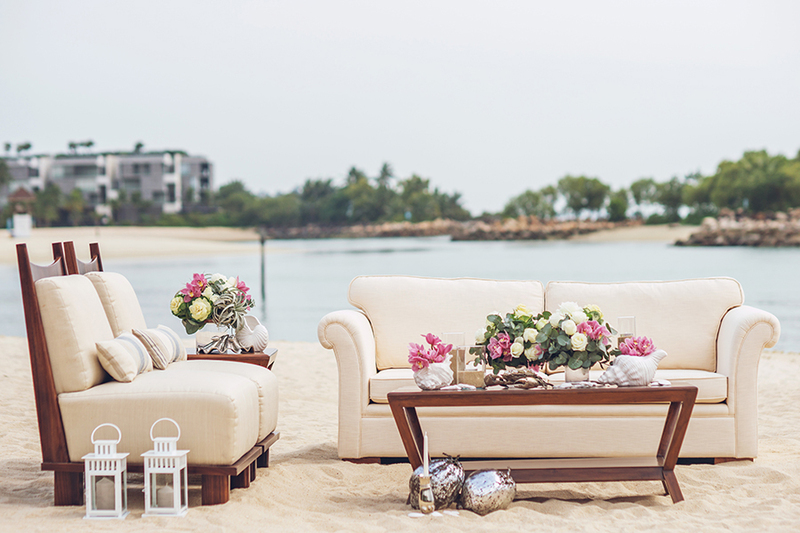 “The clear blue sky, the rhythmic sound of the waves and the gentle warm breeze gliding over the soft carpet of white sand makes a perfect beach wedding surrounded by nature’s surreal beauty that is so uniquely alluring. 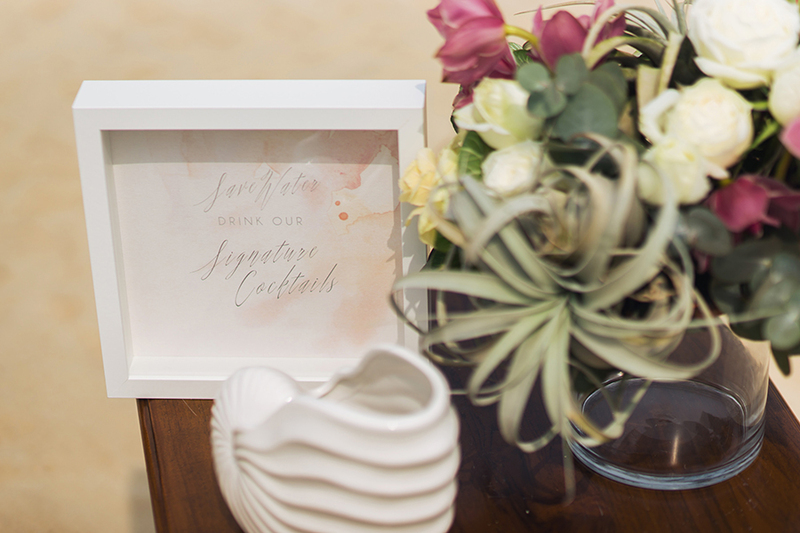 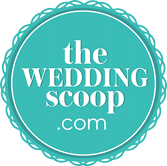 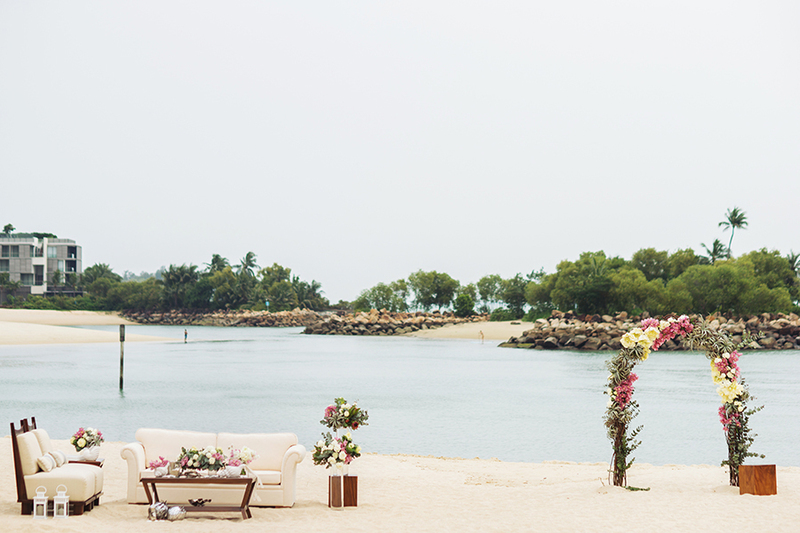 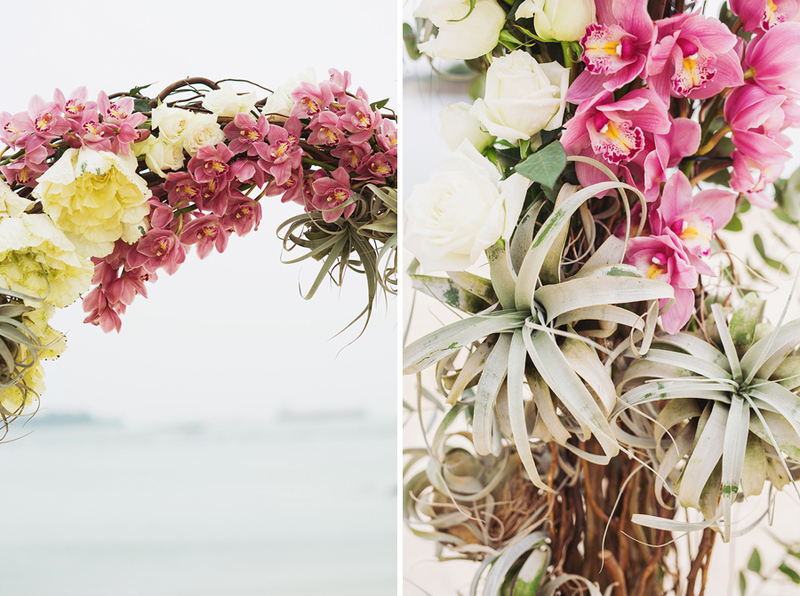 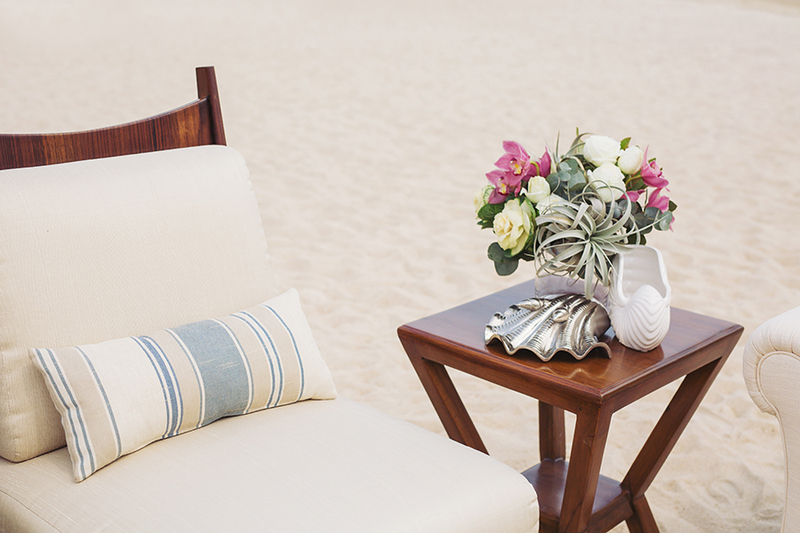 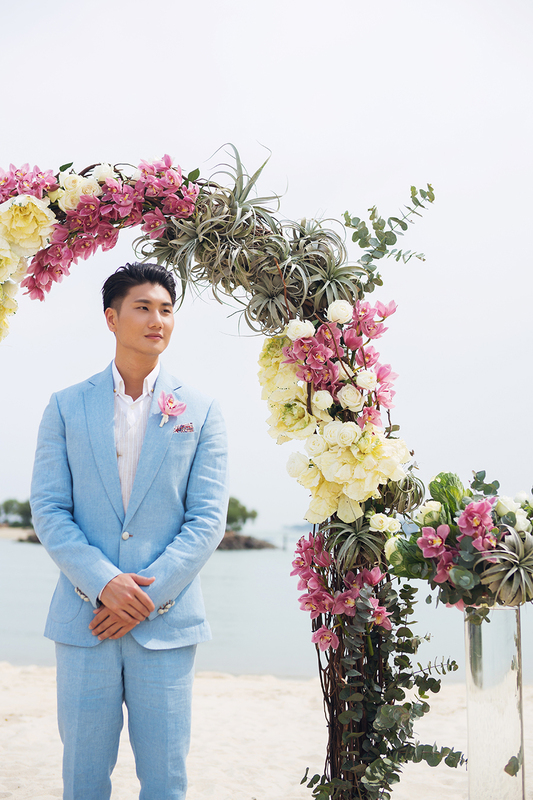 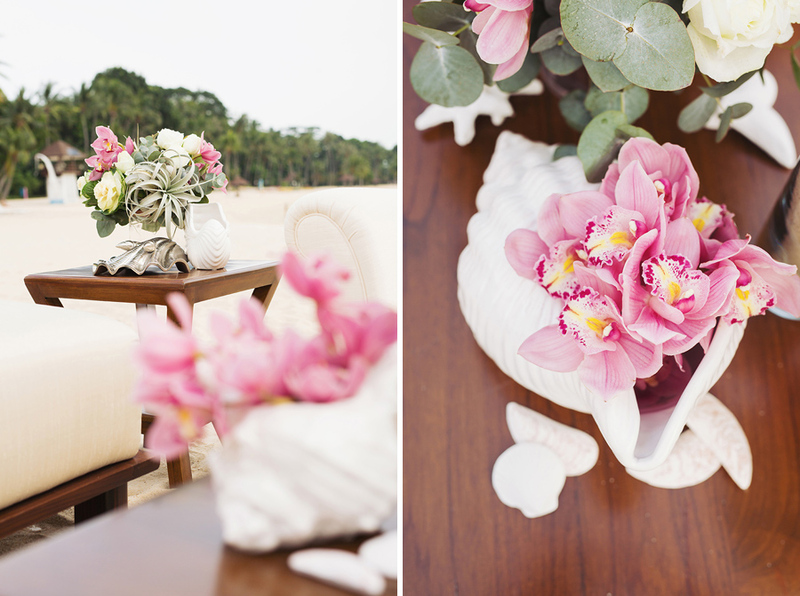 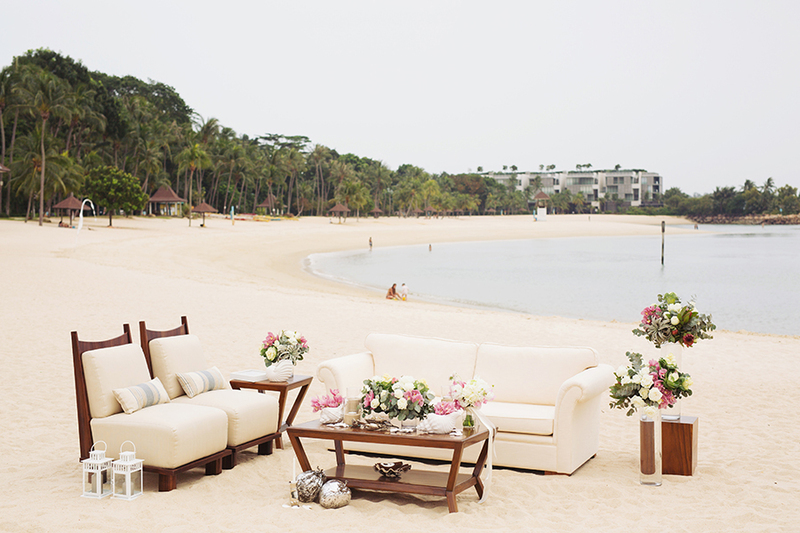 The Wedding Scoop presents a styled beach wedding at the romantic oasis of Tanjong Beach Club, beautifully captured by Trouvé and jointly styled by Floral Magic and Wedrock Weddings. 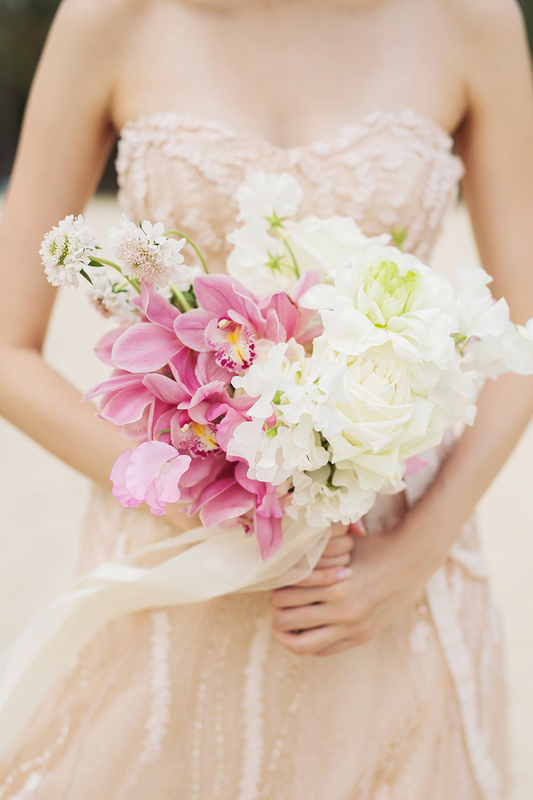 Large blossoms in a cool palette of soft pink, dusty rose, sandy white and greyish green hues were introduced for a sense of halcyon glamour. 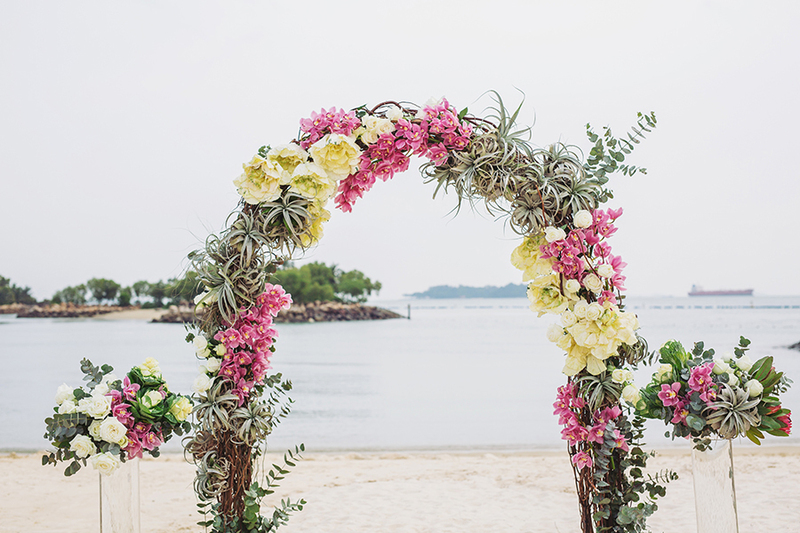 The ceremony and the outdoor cocktail lounge featured a lush floral arch complementing the premium furnishings from WTP. 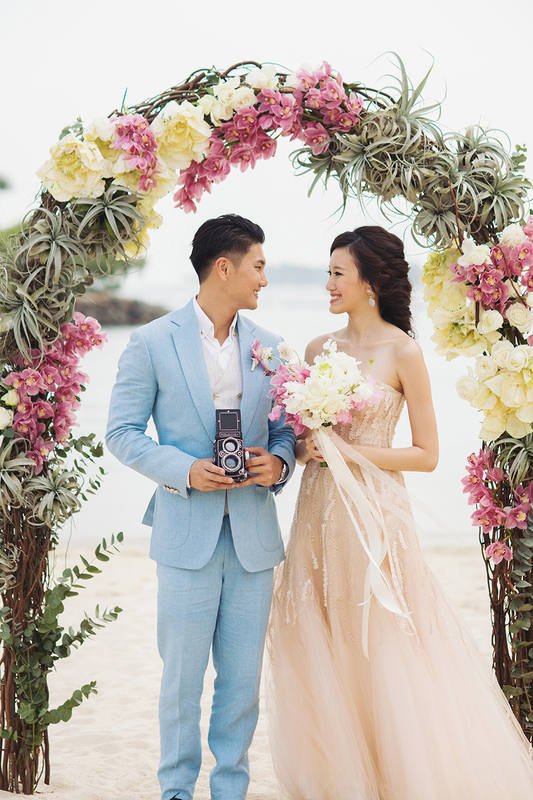 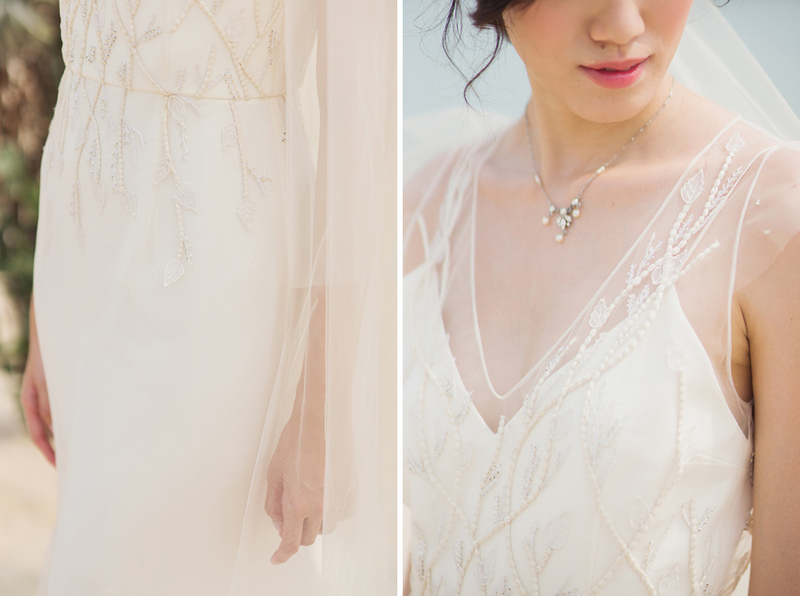 The bride, beautifully made up by hair and makeup artist, Charmaine Tok, was seen in an ethereal Alexandra Grecco "Phaedra" dress with flutter cap sleeves, delicate hand-embroidered vines and leaves, silver beading and paired with a soft ivory Vera Wang cathedral length veil. 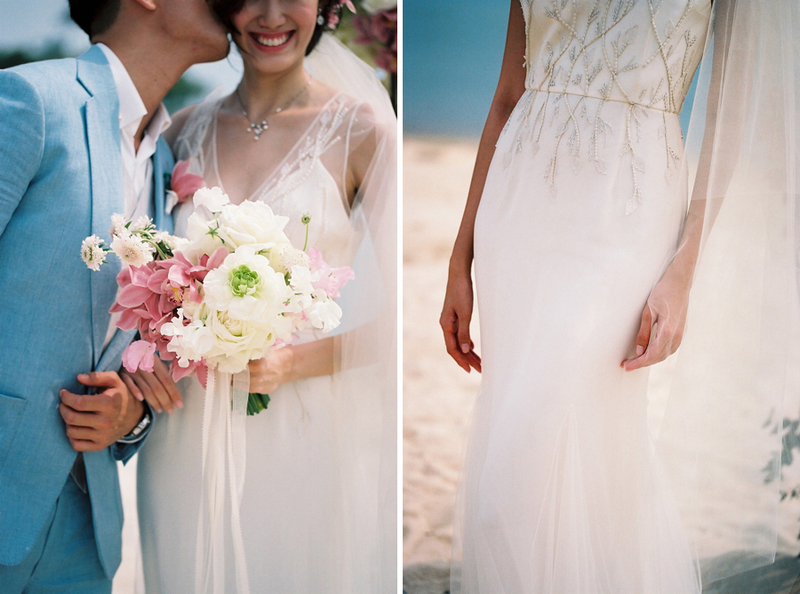 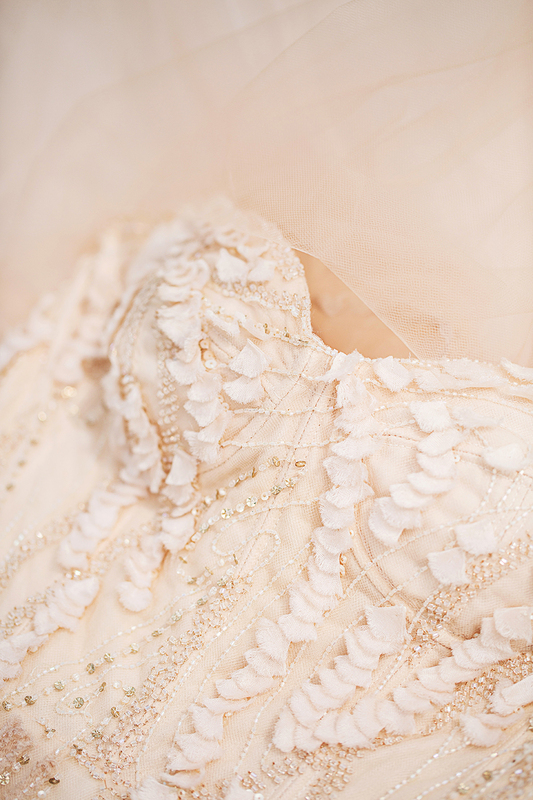 For cocktail hour, our bride changed into a Monique Lhuillier Candy Blush dress from Truly Enamoured with a sweetheart bodice embellished with trails of blush silk ribbons and a skirt made up of layers of ivory and blush tulle, and was adorned with jewellery from Pinwheel Jewels. 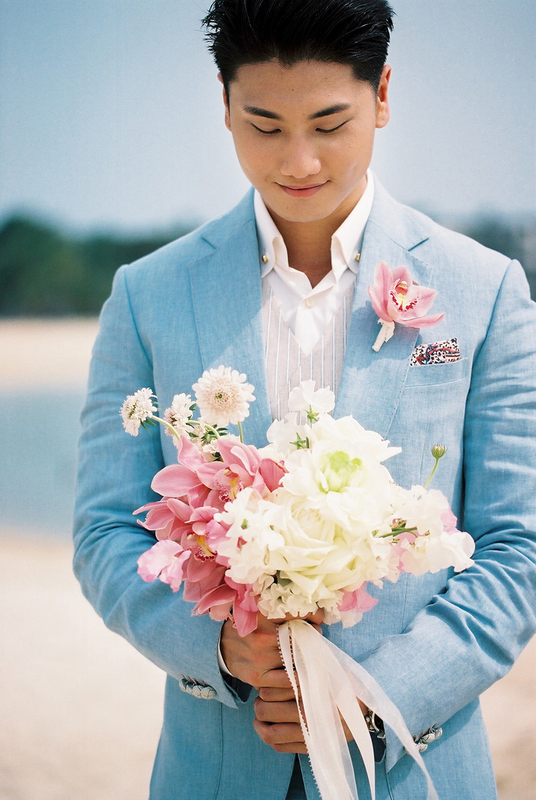 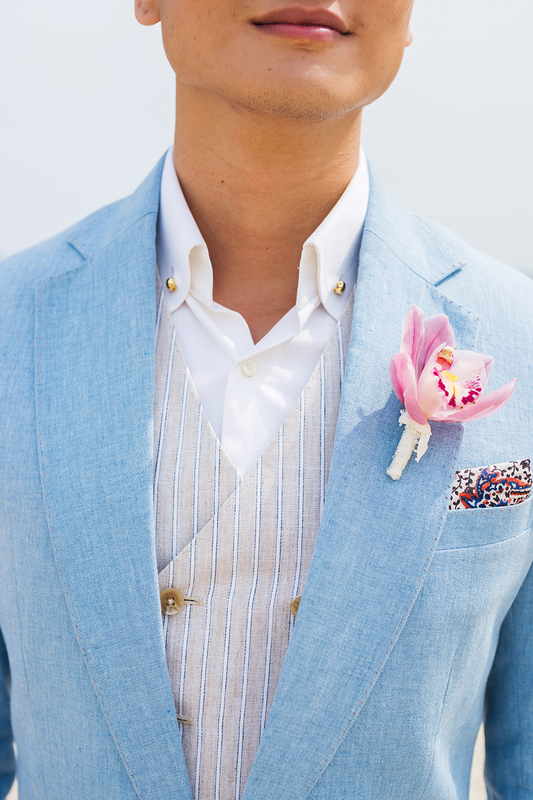 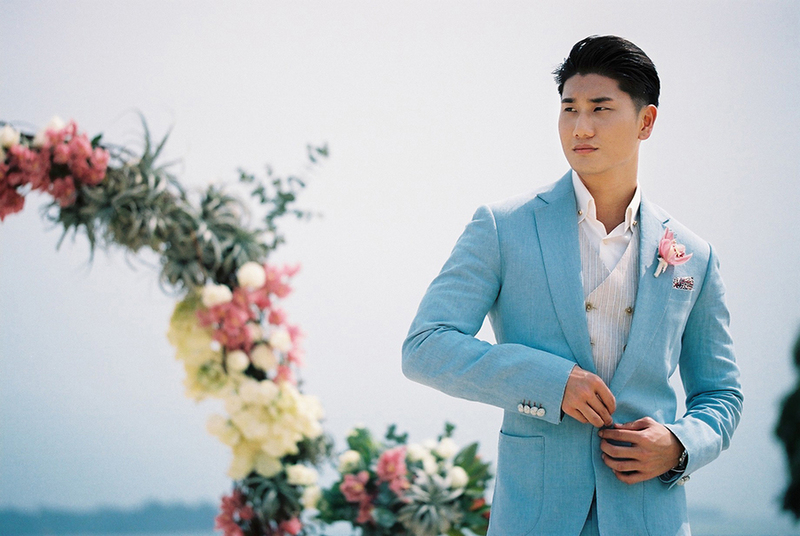 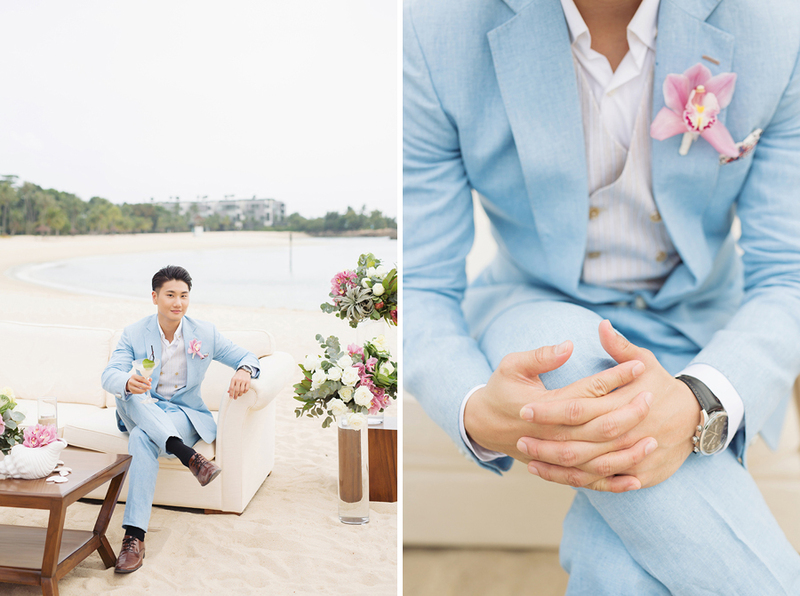 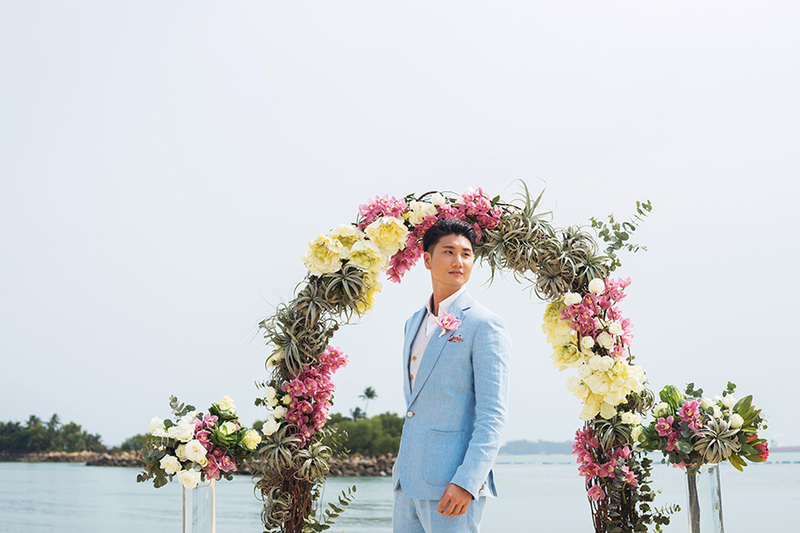 The groom was decked in a pleasingly unlined and lightweight powder blue linen suit from PIMABS, ideal for the tropical weather."